I had better make a list. I had better make a list. Drawing Luke Hockley. 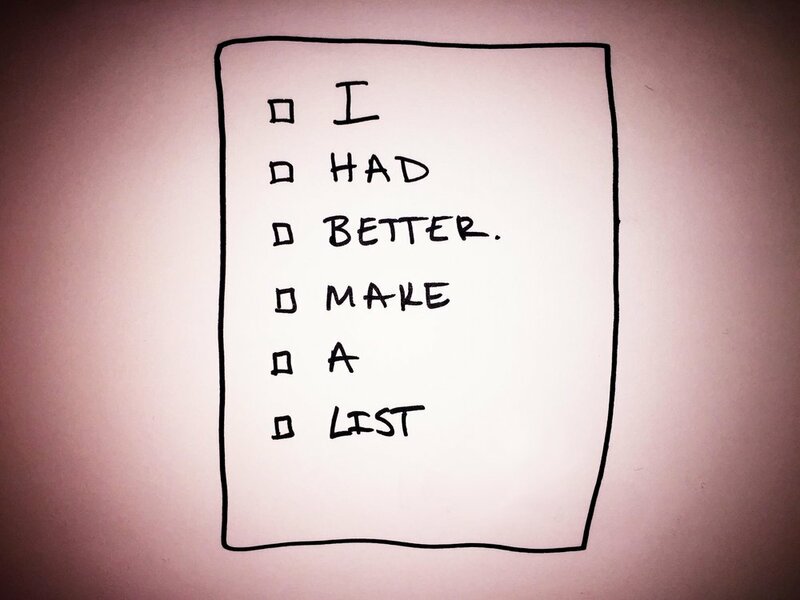 It is shocking, truly shocking how much more effective I am once I have made a list of all the things I would like to get done. I think I had better make a list. Newer PostWhere do I look?